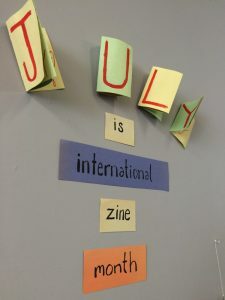 Every July — ever since American zine maker Alex Wrekk declared it in 2009 — zine creators, fans and collectors celebrate International Zine Month. There are various daily activity suggestions rolling around the internet, but this year the OCAD Zine Library decided to write our own list. 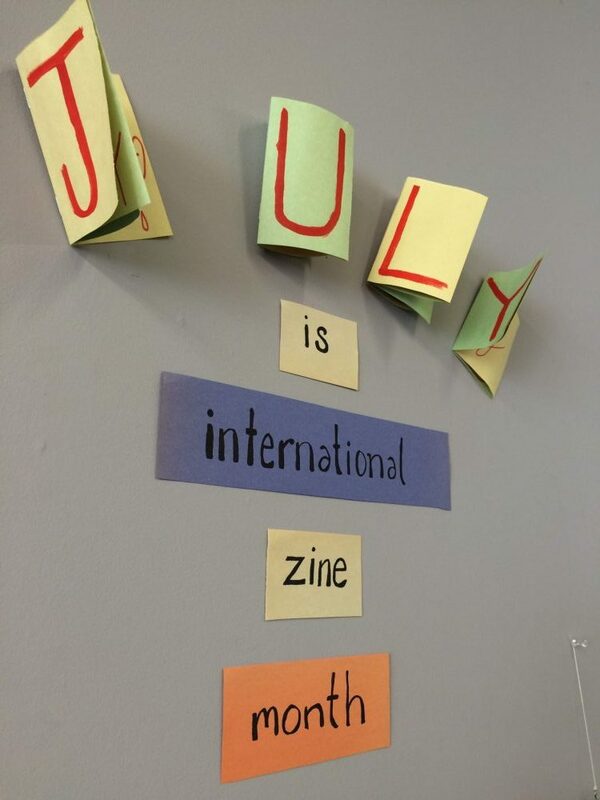 We hope you take some inspiration from the list, look at some zines, maybe make a zine or two, collaborate with friends, and learn something about zine history and zine making! Search our Zine Library online! Join the OCADU Zine Collective! Visit the Toronto Zine Library (open today from 1-3pm)!